CAREER HIGHLIGHTS: Palmer became Aston Martin CEO in October 2014 after 23 years with Nissan, where he rose to chief planning officer and served on the automaker's executive committee. 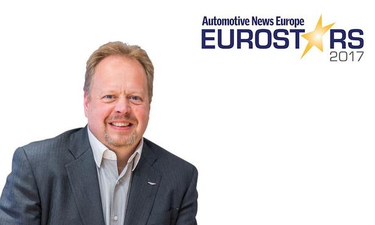 He started his automotive career in 1979, at age 16, as an apprentice at Automotive Products Limited (UK). After six years with Austin Rover, he joined Nissan. REASON FOR WINNING: After a decade of losses, Palmer retuned Aston Martin to a pretax profit of 5.9 million pounds (6.5 million euros) in the first quarter after a 29.7 million-pound loss a year earlier. To expand Aston Martin's market reach and ensure sustainable profitability, Palmer has pushed the automaker to add its first crossover -- the DBX due in 2019 -- and the Valkyrie hypercar, which was co-developed with the Red Bull F1 team.